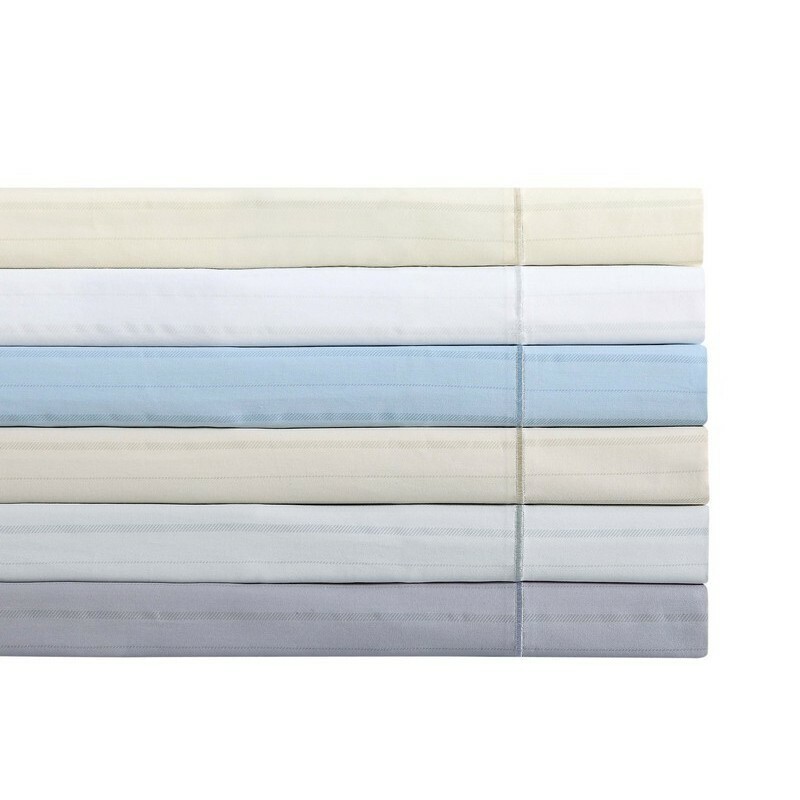 Sheet sets in a classic stripe pattern on a 310 thread count 100% cotton fabric made with single ply, ring spun yarns. Classic stripe pattern on a 310 thread count 100% cotton fabric made with single ply, ring spun yarns in a percale weave for a crisp feeling sheet. Experience what real quality feels like with a quility well engineered fabic.